Philippe P. Calais, Pharm. 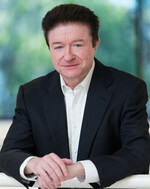 D., Ph.D.
Philippe Calais was appointed as interim chief executive officer in December 2018. Dr. Calais has over 30 years of biotech and pharmaceutical industry experience both in North America and Europe, and for the past 6 years has served as the president and chief executive officer of Isarna Therapeutics B.V. (“Isarna”), a developer of oligonucleotide therapeutics. Dr. Calais also served, from 2017-2018, as a board and audit committee member of Marina Biotech Inc. (OTCQB: MRNA), and has been an economic advisor to the French government, promoting business collaboration between the US, Germany and France, since 2013. Prior to becoming CEO of Isarna, Dr. Calais managed several biopharmaceutical companies in Canada and in Europe and headed Univalor LTD, a large technology transfer organization focused on commercializing innovations from the University of Montreal. In 2008, Dr. Calais became the President, CEO and Board Member of Ambrilia Biopharma (TSX:AMB), a biotech company dedicated to the discovery and development of novel treatments for viral diseases and cancer. Prior to Ambrilia, Dr. Calais served as president and board member of Neurochem International (NASDAQ:NRM). Early in his career Dr. Calais held senior management positions at F. Hoffmann-La Roche and Servier Canada. Dr. Calais received his bachelor’s degree in pharmacy and his doctor of pharmacy from the Université François-Rabelais in Tours, France. Kenneth C. Cundy joined our Company as chief scientific officer in November 2014. From December, 2012 to November, 2014, Dr. Cundy served as the chief scientific officer for XenoPort, Inc., a biopharmaceutical company focused on the development of product candidates for the potential treatment of neurological disorders. He served at XenoPort, Inc. as senior vice president of preclinical and clinical sciences from 2011 to 2012, as its vice president of preclinical development from 2004 to 2011, and as its vice president of biopharmaceutics from 2000 to 2004. From 1992 to 2000, Dr. Cundy was senior director of biopharmaceutics at Gilead Sciences, Inc. Prior to Gilead Sciences, from 1988 to 1992 Dr. Cundy was principal research investigator at Sterling Drug, a pharmaceutical division of Eastman Kodak Company. He received a B.S. in pharmacy from the University of Manchester and was registered as a pharmacist in the UK. He received a Ph.D. in pharmaceutical sciences from the University of Kentucky and postdoctoral training in biochemistry at the University of California, Berkeley. Jeffrey F. Biunno joined our Company in October 2013 as chief financial officer and was appointed secretary and treasurer in September 2014. Prior to joining CohBar, Mr. Biunno served as chief financial officer, secretary and treasurer of ManageIQ, Inc., a provider of global cloud IT systems management solutions, from March 2012 until its acquisition by Red Hat, Inc. in December 2012. From February 2009 until March 2012 Mr. Biunno served as vice president and worldwide controller of Dialogic Inc., a provider of mobile telecommunications network software and hardware enterprise solutions then listed on NASDAQ. Mr. Biunno founded Scalable Financial Solutions, LLC, a financial consulting firm, and operated it from March 2008 to January 2009. From February 2005 to March 2008, Mr. Biunno worked at Geller & Company, a financial services consulting firm. From 1997 to 2004, Mr. Biunno served as vice president and corporate controller of Novadigm, Inc. (NASDAQ: NVDM), an international provider of IT systems management solutions to Fortune 500 companies and government agencies. Mr. Biunno received a B.S. in accounting and an MBA in finance from Montclair State University. Mr. Biunno is a certified public accountant and a chartered global management accountant. 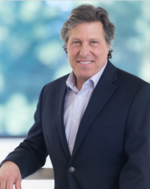 Jon L. Stern served in senior strategic roles with our Company from August 2012 until he was named our chief executive officer in October 2013. He was also appointed to our board of directors in May 2014. In connection with the appointment of Simon Allen as our chief executive officer in March 2016, Mr. Stern assumed the role of chief operating officer. From 2009 to 2013 Mr. Stern was an active investor in information technology, media and real estate projects and companies. From 2006 to 2008, Mr. Stern served as executive vice president of Integrated China Media, a Guangzhou, China-based provider of digital entertainment content. From 2003 to 2008, Mr. Stern was a partner in Pacific Arts Group, a publisher of Chinese Contemporary Fine Art. Mr. Stern founded Digital Sparx in 1999, distributor of digital entertainment content to movie-goers, and served as president and chief executive officer of that company until 2002. In 1986 Mr. Stern founded Cine Coasters, Inc., a developer of sports stadium and movie theatre products, and served as its chief executive officer until its sale to a division of Liberty Media in 1998. 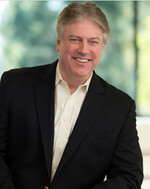 Mr. Stern holds an MBA from the Marshall School of Business at the University of Southern California and a B.S. in Business Administration from The University of California, Berkeley.